More expensive than an equivalent Boxster. Standard equipment levels are far from generous. Late model Porsche ECUs record how the car has been used, in particular if it has ever been over-revved. 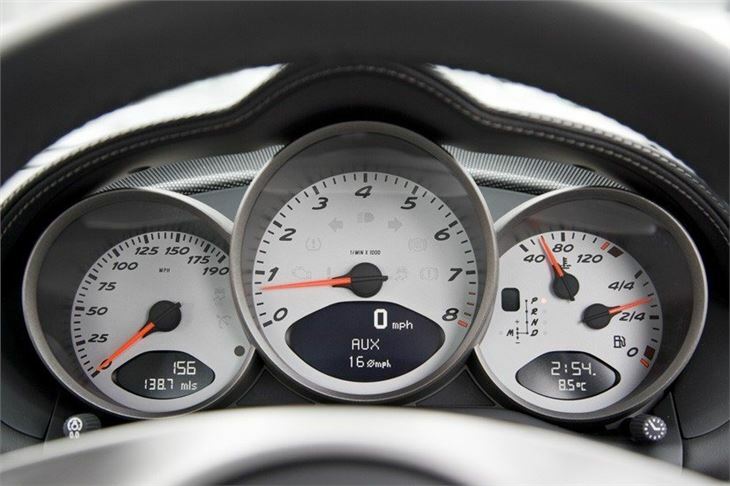 So vital to see a readout of an interrogation of the ECU before buying a used Cayman. While Porsche may be well known for its iconic 911 Carrera models, there is a smaller hard top coupe in the range - the superb Cayman. Based on the Boxster it's quite simply the best handling car on the market with amazing poise, great grip and surging performance. 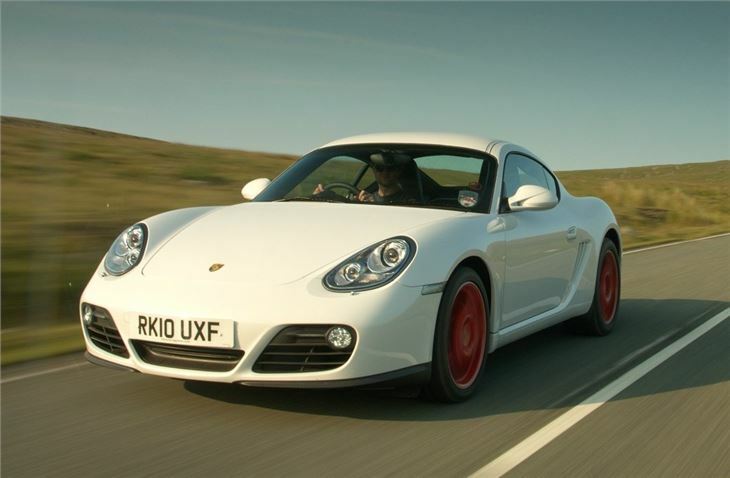 Some may say the 911 is still the 'true' Porsche, but even that doesn't drive as well as the Cayman. It's helped by the fact it is mid-engined, which means perfect balance in all conditions, while the steering is incredibly accurate. 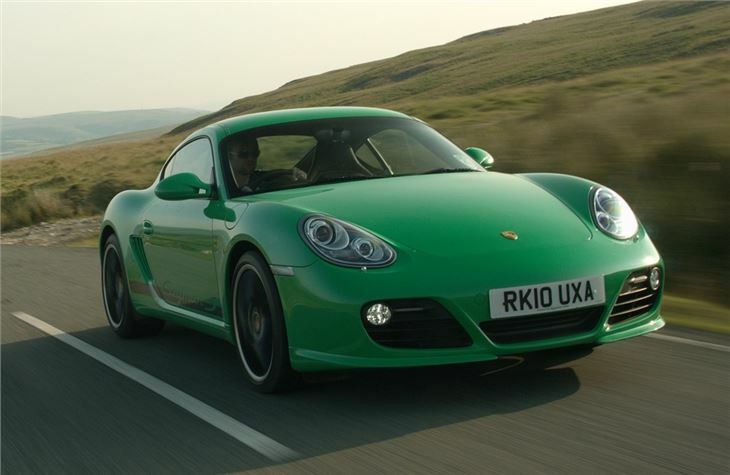 This makes the Cayman a hugely enjoyable car to drive with a real feelgood factor from behind the wheel. 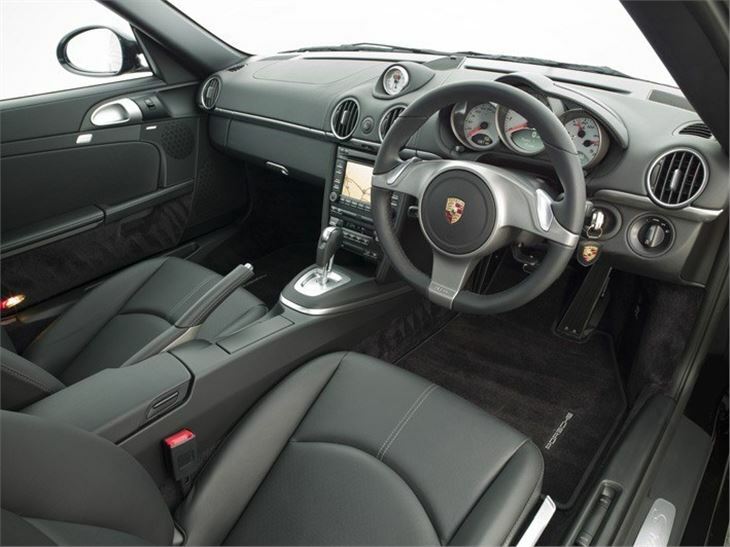 There are two models - the standard Cayman and the more powerful Cayman S - both powered by characterful straight-six 'boxer' engines which have a delightful engine note. In 2009 the model was revised with some subtle styling tweaks. The big changes were reserved for the engines with two new more powerful units delivering faster acceleration times and improved fuel economy. 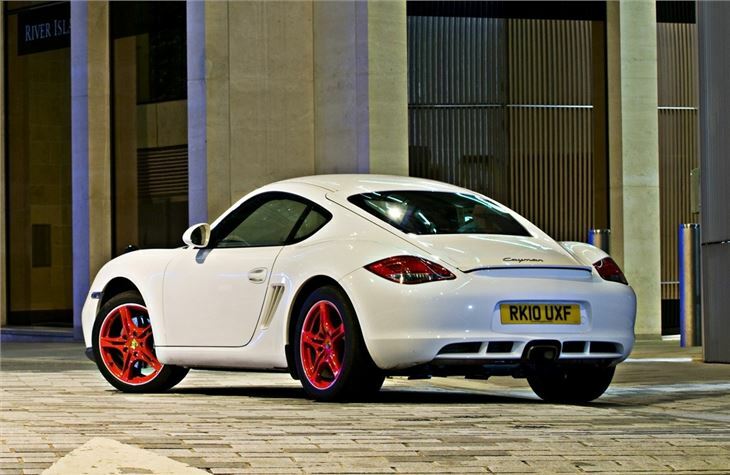 This not only makes the Cayman range even better but helps differentiate it from the Boxster. There's also a new dual-clutch PDK gearbox which offers amazingly rapid gearchanges, so much so that it's quicker from 0-62mph than the standard manual. But just because this is a sports coupe, it doesn't mean it's not useable everyday. The ride is firm as you'd expect, but copes pretty well on most roads plus it's surprisingly practical inside with a large luggage area in the front and a comfortable cabin. The interior is superbly constructed with a purposeful but sophisticated feel. Where the Cayman comes into its own is on the open road where you can enjoy the great performance available and appreciate how well it handles. Few cars feels as special as the Cayman and although standard equipment levels aren't exactly generous, it's still well priced compared to the competition. 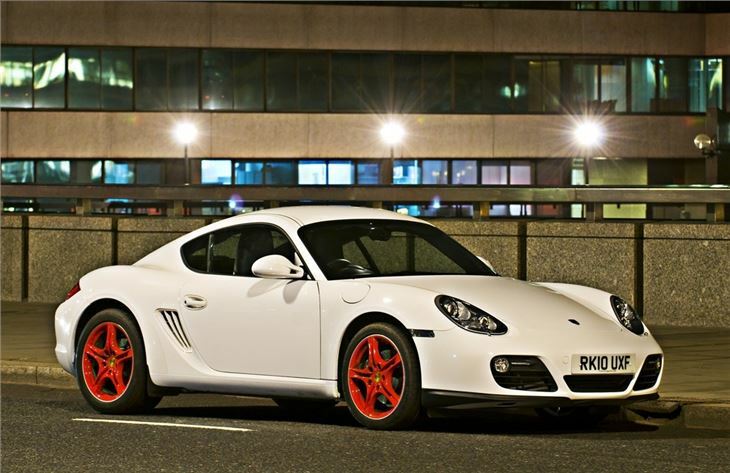 There's a huge range of options available too which means you can really go to town and customise your Cayman.